The Full Moon in Libra on March 20, 2019 (6:42pmPDT) falls on an equinox. Equal day and equal night. Equal light and equal dark. Two halves make a whole, and all things hang in the balance. We are made of balance. As elusive as it may seem to the mind, balance is intrinsic. There are greater cycles at work that those we can perceive. There is more perfection here than what we can possibly interpret. We reside within a phenomenal whole, composed by intricate equilibria. The Sun and Moon gaze across from one another and mark a great turning. We begin again. This Moon is an initiation. This Moon is an emergence. In the Northern Hemisphere, Spring initiates. The greening arrives. The internal becomes external. Like the buds on trees, what’s been held within for a season becomes a bloom to be seen and appreciated. In the Southern Hemisphere, Fall commences. A necessary shedding, and a deep exhale. Energy moves inward. What’s been sustained for a season lets loose into the romance of harvest. Both bring color, and opportunities to share. Both bring air, replete with lingering scent and beauty. The scent of life. The scent of decomposure. Wild breath. Freshness. The passing of the flame. A Moon of breaking through. A Moon of New Beginnings. The beginning of the beginning. It is time to do things differently. If we’ve been falling, a Moon for us to rise. If we’ve been advancing, a Moon for us to rest. This Moon is the turning; an invitation to our next Becoming. The Sun is at Zero Aries, conjunct Chiron. Chiron, the wounded healer asteroid, has recently begun an 8-year transit through Aries. Learn about Chiron and this transit here. We are moving past illusion and into living our mission. Where do you need to begin again? Where in your life are you forging a fresh start? What is your mission? Why are you here? Gather your courage to step completely out of the old story. This Moon invites us into right use of energy. Remove energy and attention from whatever isn’t life-giving, and re-invest it into what is life-giving. We are moving past victimhood and into sacred warriorhood. Where is your will most weak? Where have you been unable to assert yourself? Where have you disowned your desires? Develop your strength. Claim what you want. Let your passion be a compass – chase what gives you life. Life is not without pain. Turn toward it. We can make peace with pain. Moving together, we can feel pain and welcome the healing that is our birthright. Life resides here, where harm and healing meet. You are here to be yourself. Full stop. Without apology or the need to prove anything. Just like the buds bursting open and the flowers surging through dark soil, you are here to be life. You are here to exist and have desires and experience pleasure and be exactly who and what you are. The Moon is at Zero Libra, the sign of relationship. There was a time when so many of us could be convinced that life was made for individuals to advance and build their empires. Many of us were convinced of this – and some still are. The deeper truth of now is that we are here to connect. To relate. To unite. Now is our opportunity to combine. Commune. Cooperate. Harmonize. To move from solo to choir. We never stand alone. As we pursue our mission and live into ourselves, we draw companions. As we determine what we want, we join together. Reciprocal relationships will sustain us. The quality of life on Earth rests on our ability to see ourselves in others. Culture shapes us, but we also shape culture. The brighter we make our own light and share it, the stronger our impact. This Moon is a revelation of our shared potential. God is here, arising through our connections. This is a weaving together. A re-making of things. A re-balancing of the natural order. Where do we need equilibrium? How will we invite more harmony into this world? How can we be instruments of balance? As a world community, how will we set things right again? How will we make peace? Pause and sit with these questions. Meditate with them and follow where the energy leads. Mercury is still retrograde in Pisces, delivering big feelings, big dreams, and big losses. This world is a looking glass. Polish the mirror to see more clearly. Look squarely into it, and learn how to love what is being reflected. Beauty is our nature. It is within us. It is all around us. All things are an emanation of beauty. Tune your awareness to that fact. Look around. Look for beauty everywhere. Below you, above you, and even within the ugly. See it and affirm it. Take pleasure in it. Whisper sweet nothings to it, and encourage it to grow. Become a lover of life. Meet others here. Share in this initiation. Join the confluence of energies making more love and grace in the world. Warriors of the New. Accomplices of peace. Architects of harmony. Artists of equilibrium. Are you called to learn astrology? Astro-School is starting soon! Book an intuitive astrology reading with Virginia here. Follow Virginia on Instagram. I am on a quest to heal myself. I know that this is not my work to do alone. Thinking I am alone creates patterns of forcing and impatience that I am ready to let go of. I know that healing arises due to my relationships, and due to my ability to allow Spirit to move freely through my being. I acknowledge that I do not know my whole self, and I never will. But I can collect the pieces of me, and continue to fit them together in ways that feel intuitively right. My relationships help to fill in my blanks and my blind spots. I am thankful for relationships that help me to reveal more of my essence. I contain more than I ever thought possible. I am a Spiritual creature. I am an embodiment, an expression of Spirit, and of Life itself. I am the result of the churnings of an infinite, bottomless well of energy even more vast than the sea. I spring from Source. I have a direct hookup to the nameless force that resides within all things. Because of this, healing is possible. Because of this, anything is possible – with ease and grace. 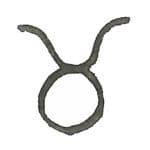 Taurus: I attune to my sacred work. I know my work is sacred when it gives me joy. I know my work is sacred when at it, I become a vessel for pleasure. I am keeping pleasure and creativity at the top of my list. I believe that incorporating play into my work can make me even more effective. I know that practicing joy improves my health. When I live in joy, I give the world permission to be happier. This Moon has me re-visioning my future. Even though I can’t see it or plan it, I am calling my future towards me. This Moon has me tuning in with the groups and communities. Which are the ones that feel most authentic? Which groups let me live into the happiest and best version of myself? When I see the Full Moon in the sky tonight, I will join hands with those folx. Together we’ll tip our heads back and laugh long and hard, feeling the cells of our bodies becoming awake and remembering themselves whole. Gemini: I step into my future. I am deeply reconsidering my public presence and my work in the world. Does the work that I am currently doing help me to explore the parts of myself that feel most alive? Is it the highest contribution I could offer? The best use of my time? Maybe it’s less about the work I do and more about how I do it, and who I do it with. I’m living into the questions and trusting that things will come clear in time. I am taking risks. I am distinguishing between the things that I do habitually and the things that I do because they bring me joy. The medicine I need will come to me as I follow the creative pulse inside me. The medicine I need will come to me as I emphasize fun and connection. My public presence and contribution can pour from my heart as an authentic sharing of who I am inside. I call to me the community I am meant to weave together with. Together, we will make the world a brighter place. Cancer: I make room for life. I can span across dimensions of my own being. I feel myself in the dance between personal life and professional life. Inner callings are stirring, asking me to make space. I also honor the outer callings asking me to actualize my public contributions. I seek the balance between the two. I can make home for it all. I know that every blossom needs a strong foundation from which to bloom. I reserve time for self-care and emphasize nourishment. I am following signs and symbols on the path. The healing that I seek lies in my relationship with the wider world. This Moon invites me to reach beyond my familiar cloister and expand. The healing it offers may come to me in the form of a journey, a vision, connecting with nature, or furthering my education. The things I come across on this journey are helping to re-establish my work in the world. What I offer to the public is a culmination of my own healing journey. I am using this time to balance my inner needs and come further into my calling. Stillness becomes movement. After a period of clearing baggage and diving into my own depths, I feel myself switching gears and coming into motion. I have been consolidating my energies. Now it is time to communicate, migrate, and cross-pollinate. There is richness here. I wish to adapt, share, and reveal the treasures I have been collecting. I have wealth and abundance to re-distribute. I am bringing my resources to people with love. After a period of death and transformation comes an emergence, an expansion, a moving-beyond. I am opening myself up. Testing my wings after a period of hibernation. My soul is ready for a big breath of fresh air. I am widening my reach. Expansion, travel, adventure – these are my medicines now. My medicine is in having total trust and faith in positive outcomes ahead. Virgo: I am prosperous and flourishing. I affirm that I am in the right place at the right time, and I can always start from where I am. I live in alignment with my values. I live in alignment with myself, and what I know to be true. I am magnetic and effortlessly draw what I need to me. If there are stories of lack in my being, I am willing to update them. If there are histories of servitude, I am willing to experience more of my innate worthiness. I am willing to divest from poverty-cycles so I can shift how resources are distributed. I trust myself to be a steward of reparations. I am looking into my reserves. Taking stock of what’s in my vault. Accounting for my assets. I always start by naming how grateful I am. I am incredibly awed, humbled, and appreciative of all that is afforded to me. My medicine lies in welcoming intimacy. My medicine lies in stepping further into my power. As my assets rebalance themselves, magically, so do my relationships. The Moon is rising over me, and I am beginning a new chapter in my life. I am at the starting point of revealing a new identity to the world. I have changed so deeply over the past while, and I’m ready to close the door on my former self with love. I am finished with trying methods that simply don’t work. I step with grace and confidence towards new methods that are yet untried. I am changing, and I allow the nature of my relationships to change. I welcome relationships that are truly reciprocal. I welcome opportunities that are a match. I know things are a match when I feel met where I am. I choose to bond with those who help me live into who I know myself to be. My work, health, and daily life rhythms are still unclear. They are sorting themselves out. I pay close attention to the fine lines and details of this sorting process. However the chips land, I know it will be perfect for who I am becoming. This Moon has me entering my cave. Surrendering. Letting go. Allowing myself to be cleansed. Taking my private time. Replenishing myself and filling my cup. I resist the urge to rush. In the month ahead, I commit to slowing down. When I slow down, I can feel more, and sense into the subtlest of signals. This allows me to be guided. It helps me to clear the clutter. No matter what is on my schedule, I can approach it with a quality of presence. I turn the volume down on my life for now. Lessening the intensity and contrast, I employ a lens with a softer focus. I turn my attention to completion. Reconnecting with loves. Romancing myself. Being creative. Retreating into quiet contemplation and enjoyment. I am patient with myself through memories and insecurities arising from the past. I allow them to come up, feel what I feel, and keep moving forward. Knowing in my soul that I belong, and that I am worthy of my own gifts. I am fearlessly bringing my creations into the world. I make my own medicine. It flows from my heart and through my veins. My medicine is whatever fun creative energy is pouring forth from my being in each moment. This medicine is meant to be shared, interwoven, and made stronger. I came to play big, to seek adventure and find companions to share it with. This Moon has me connecting with allies, colleagues, partners-in-crime. We weave together a web of genius, bringing forward unique passions to make a colorful spectrum of life expressed through multimedia. Joy! Celebrating! Shared gifts! It’s a party that gives life to our dreams for the future. Capricorn: I am living wisdom. I am beginning a whole new cycle of purpose, career, and public presence. I am born for this, and I am fully showing up to it. It takes healing to do this. I am in the process of shedding and re-integrating my past. I honor the tenderness this takes as I make a better home for myself and others in this world. Empathy is an asset. I am learning to re-program my mind and overcome false conditioning. I know that the world is non-dual and all things exist on a wide spectrum. I welcome feedback. I seek to familiarize myself with more grey areas and neutralities. I am still looking at ways I can think, perceive, and communicate differently in order to move more towards who I am becoming. It’s all about healing disconnection from my roots and the land. My goal is to embody what the world needs me to be in this particular time. This Moon has me taking a leap of faith. I have heard a saying; jump and the net will appear. Who knows if it’s true. All I know is I can’t stay hidden or repressed anymore. I am ready to live my truth. Broadcast it. Live it out loud. I want to grow wider and make discoveries. I long to journey to lands and heights yet unexplored. I am investing in my own freedom. I welcome a time of great learning. My healing lies in liberating my own mind. Gazing towards vistas and welcoming new perspectives. My healing lies in connecting with people and sharing ideas. It is unclear how my investments will pay off. What matters is living a life of merit and of benefit. What matters to me is encountering more in this vast world and being awed at all I’ve yet to learn. Pisces: I merge with my most powerful self. This Moon marks the beginning of understanding and living into, my own power. I am like water. Water is one of the most powerful forces on Earth. Shapeshifting, kind, and compassionate. Home to so many creatures. Life-giving. Gentle, fluid, yet incredibly strong and able to overcome anything. When I am overwhelmed, I take enough space to drain out. When I am flooded, I find the light of warmth and pleasure to come back into my skin. For the next month, I will be diving deep into the recesses of my being. Here in the shadows, I’ll be exploring intimacy and involvement, as well as the richness of ancestral patterns, and whatever else thrives in the rainbow spiral of my DNA. This is a time of revising and re-imagining my sense of self. I am following inspiration. I trust the flow of spirit. Receive the latest Rising Woman updates straight to your inbox!  Rising Woman offers resources guiding you to the root of your relational issues while encouraging you to find an authentic pathway of deep healing. With an emphasis on shadow work, family systems therapy, esoteric wisdom and a hint of astrology, you’ll find everything you need to support your journey of conscious living. © 2018 Rising Woman. All Rights Reserved. Receive the latest Rising Woman articles & updates straight to your inbox!